Here is the downer, it is expensive. But I bought one for about 30% off the retail price from an amazon seller. You could probably get it even cheaper at ebay with a lot of cunning and patience I didn't have. A lot of people do not like the big screen and big size of the phone. But it is just the right size to read my books with and still be able to put it in my pocket at the same time. I would call it a pocket-sized ereader. 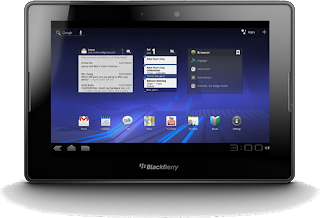 It got good internet browsing capabilities and is supposed to be the fastest in the market. My unit is only limited by the quality of signal I get on my phone network. If I get WiFi, it's faster. I read/send emails on it. I am not much of a games person, but you could probably load it with games for when you get bored, don't feel like reading, waiting in line in a queue, etc. I also encountered a few "bugs" and kinks in the software, like some apps don't work properly. One time it wouldn't obey the "grid view" button and I had to turn it on and off. The transition from page to page does not "feel" as smooth as it does with the iphone. Or maybe I am used to the iphone and not with this one yet. It also got an "S Pen" to help you navigate the touch screen but I don't use it much. Anyway, I'm not yet done playing with it, but I think this is the best in the market in terms of ereaders. So for bookish people out there, I say the Samsung Galaxy Note is the best tech you could lay your hands on if ever you are looking for an ereader. FYI, if you are still thinking about getting a regular reader, you can read any books you want on a Kindle as long as they are in .mobi or .prc format. All Smashwords books are available in those formats, you just choose that format to download from your Smashwords library. Everyone seems to think that they can only buy from Amazon, but that's not true at all. I buy all the time from Smashwords, Fictionwise, Samhain, Carina Press and All Romance. For DRM free books in EPUB format, you can also convert those to .mobi using free Calibre software (very easy to use - I'm not at all techie and I figured it out on my own). Regarding DRM free PDFs, you can either convert them to .mobi yourself using Calibre, or if you have a Kindle account, you can send them to Amazon and they will convert them for you, for free. Once you've converted them, you can read the resulting .mobi files in your Kindle reader on your phone (or your Kindle if you have one) and make the font bigger, etc. 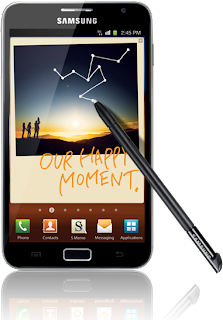 JenM - I wont be buying kindle now that I have Samsung Galaxy Note. I can read kindle in it with the kindle app. I didn't know that you can convert other formats into kindle readable forms by sending it to amazon. Thank you for the info! I was about to say the same thing Jen told you about converting documents. But the important this is you're happy :) Congrats on your new reader. There is a program that others have told me about that will convert any ebook format to the format you want it in, Calibre. I just need to figure out if it will work for me to buy an Amazon ebook to convert over to Nook, since I got the Nook for christmas. Cherry, I've only played with it a little bit. Converting to and from PDF forms to make the format my Nook reads as a "book" and not just a "document." And it seems to work really nicely.